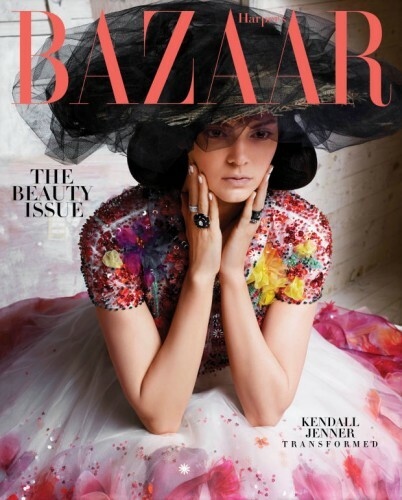 Fashion model Kendall Jenner returns to the pages of Vogue magazine. 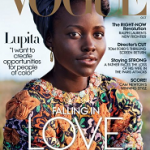 This go ’round, the “It Girl” is featured in the publications December 2015 issue. In the wonder.land inspired shoot, she styles in a Louis Vuitton leather vest and skirt, Proenza Schouler dress, Alexander Wang dress, Saint Laurent by Hedi Slimane dress, Dior Haute couture silk gauzer-and-orgaza dress, Alexander McQueen dress and more. Fashion editor Grace Coddington handled styling duties. The shoot was lensed by Mert Alas & Marcus Piggott.